These days, diversity is a big issue in most offices up and down the country. We know that it is critically important to encourage equal opportunities in the office and throughout all levels of work, but some companies are still coming up short. They may think that they offer equal opportunities, but when you take a closer look at the diversity in their office, you might see that is isn’t all that diverse. In fact, the office culture could be completely lacking in diversity at all. Obviously, this is something that most businesses need to actively work on to make sure that there is no place for sexism, homophobia, racism, and any other form of prejudice in their office. Are you ready to make some big changes within your company? Here are some easy ways to create a diverse office that is open and welcoming to everyone. One of the first things that you should do is to think about just how accessible your office is. Would it be possible for people with disabilities to get to it easily enough each day for work? If not, then you might need to make some changes and updates to it so that it is. For instance, adding a couple of disabled parking spaces in the car park will be a big help to anyone with mobility issues. Placing a ramp at the main entrance of the building will help wheelchair users get inside. If your office isn’t on the ground floor, then it is really worth considering installing a stair lift or elevator so that you can hire people with physical disabilities and have peace of mind knowing that they will be able to get to your office without any issues. It’s also worth reviewing your current recruitment process as it could be quite discriminatory to certain people without you actually realizing it. For instance, as well as using regular recruitment agencies and job boards to find applicants for your job applications, you might also want to use some employment agencies that help people at a disadvantage to find work. That will help you bring disabled people onto your team. Don’t forget that it will also pay off to recruit from a wider area as well. Most small companies tend to hire people who are from the local community, but you could find it easier to build a diverse team if you cast your recruitment net a little wider. A further way you can open your company up to more people, specifically young mothers and those with small children, is to offer employees flexible working hours. This just means your workers will be able to come and go to the office whenever they please as long as they still work the number of hours mentioned in their contract. Someone who needs to take their child to school or nursery might therefore turn up to the office at 10 am and work until 6 pm, while someone who doesn’t have to think about childcare might arrive and leave earlier. This way of working could also prove to be highly useful for employees with disabilities or health conditions as they will be able to nip out for an hour or two in order to attend hospital appointments. It will also be really beneficial if you provide your employees with plenty of training on diversity. 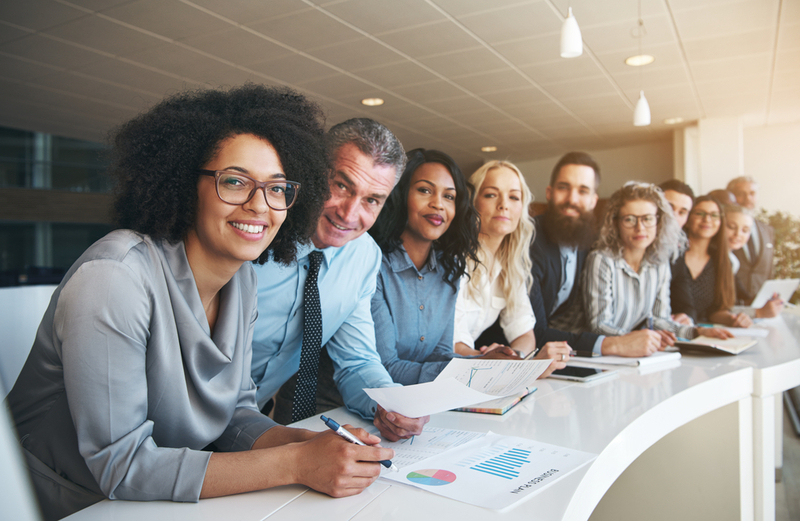 After all, they might be wondering why it is so important to have such a diverse office in the first place, and this kind of training can show them exactly why. Not only that, though, but training your staff will encourage them to be more inclusive in all that they do, which will eventually lead to a more inclusive office. When was the last time you thought about your office’s culture? This includes all of the social activities that you organize for staff as well as meetings and how employees interact on a day to day basis. You need to make sure that there are no aspects of this culture that could be seen as unwelcoming to some people. If there are some aspects of your culture that aren’t quite as inclusive as you might like, it’s necessary to start thinking how you can improve that and make some positive changes. These are just a few suggestions that should help you create a more diverse office. I’m sure there are more things that you will think to do!